Why Shop At Shabby Apple? You can never have too many clothes that make you feel fabulous. If you’re in the market for new pieces that can do just that, you’ll want to check out Shabby Apple. The site specializes in women’s clothing, and with a coupon code from the Dealhack, you can get beautiful clothes that will make you feel fabulous, at bargain prices that are sure to make you smile. When it comes to clothing, you can shop for dresses, skirts, jackets, light layers, tops, and sweaters. There’s also a section for what to wear to a wedding. Shabby Apples’ one piece outfits can help take the guesswork out of putting an outfit together. Feeling a bit cheeky? Pop over to the polka dot section to add a little flair to your wardrobe. If you’re on the hunt for fabulous accessories, check out Shabby Apples’ fantastic selection of watches, earrings, necklaces, scarves, brooches, belts, hats, aprons, and bags. Peruse through the Wedding section for fashion ideas for the bride and bridesmaids, and the swimwear section if you’re looking for something to sport at the beach or poolside. To save some cash, browse the sale section for items that are significantly marked down from their retail price, and make sure to join the mailing list to stay informed of all the latest deals and happenings from the site. Free shipping is available on orders that are $150 and up. Before you head to checkout, make sure to grab a Shabby Apple coupon code so you can save big bucks on your order. Shabby Apple shares all their latest fashions with fans on social media. Follow them on Facebook, Twitter, Instagram, and Pinterest. To reach a customer service specialist at the store, dial +1-801-590-9799 or send them an email at [email protected]. When you sign up to receive Shabby Apple emails you’ll receive 10% off your first purchase, plus the latest news and special offers from this vintage chic clothing company. Receive $20 off your next order of $150 or more when you refer a friend that completes a first time purchase. Get $5 off your next order when you share Shabby Apple with your friends on Facebook. If you’re a savvy shopper, you already know where to get the very best deals – the sale departments. 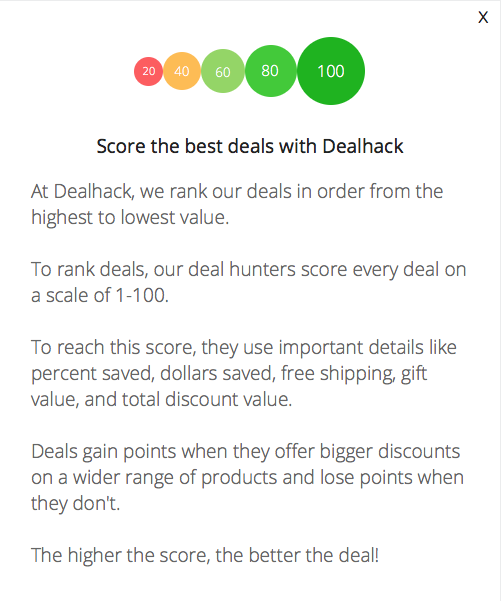 The regular sales page will score you some good deals, but the final sales page can score you up to 80% off. Make sure you know your size because final sales items are final – no returns are allowed. What is Today’s Best Shabby Apple Promo Code? The best Shabby Apple promo code right now is 20MORE. This code is for '20% off any order'. Copy it and enter it on the Shabby Apple checkout page to use it. Not only will your order of $150 or more qualify you for free shipping, it will automatically be expedited and be sent via Priority Mail. This means your order should be on your doorstep within 2-3 days. (This offer is only for orders being mailed to U.S. territories). Return requests must be submitted within 30 days of receiving your order.